This is exactly why I love this country! Because at any time of the day you can find people sleeping in the weirdest places! 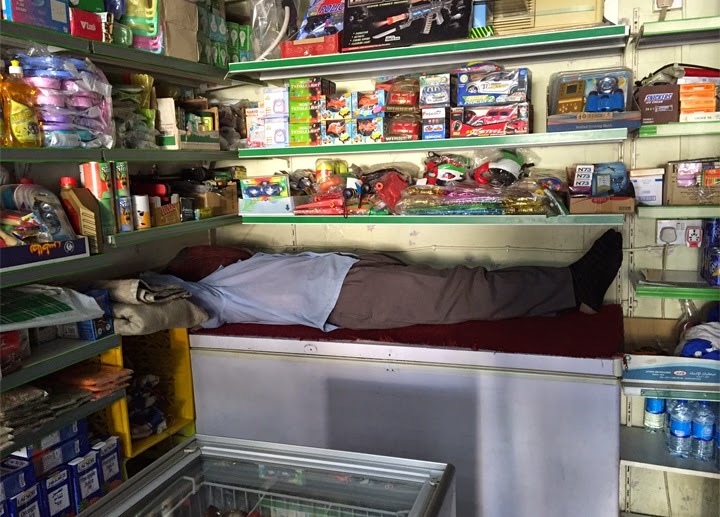 This man takes a nap on top of the freezer in his shop, luckily I was not in urgent need of an icecream.